From a skeleton, a skull, a mere fragment of burnt thighbone, prominent forensic anthropologist Dr. William Maples can deduce the age, gender, and ethnicity of a murder victim, the manner in which the person was dispatched, and, ultimately, the identity of the killer. 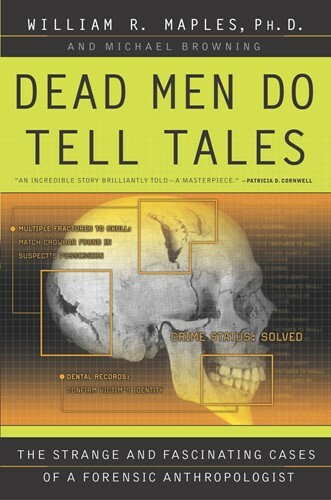 In Dead Men Do Tell Tales, Dr. Maples revisits his strangest, most interesting, and most horrific investigations, from the baffling cases of conquistador Francisco Pizarro and Vietnam MIAs to the mysterious deaths of President Zachary Taylor and the family of Czar Nicholas II. From the Trade Paperback edition.